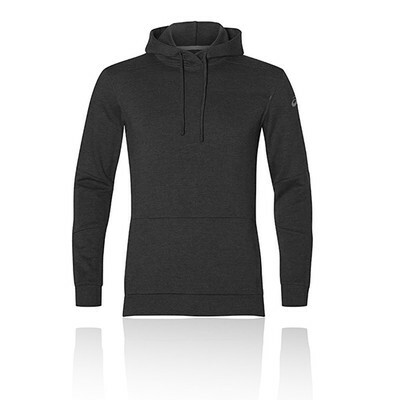 Stay warm on the way to the gym and during your workout in the ASICS training hoody for men. Enriched with breathable cotton, the ASICS tailored hoodie actively works to ensure you are cool, dry and comfortable at all times. Perforations within the fabric allow cool air to flow into the garment whilst hot, humid air flows out. The cotton also absorbs moisture from the skin and wicks it to the outer layers of the fabric. hood serves as extra protection against the elements, plus the ribbed cuffs and bottom hem offer extra comfort and warmth retention. The front kangaroo pocket supplies a space to stuff your hands or a safe spot for your phone. Finally, A tailored fit provides added coverage as well as a personalised, optimum fit. Breathable Cotton - Provides added ventilation. Moisture Wicking - Wicks sweat away from the skin. Kangaroo Pocket - A space to stuff your hands or a safe spot for your phone. Hood - Extra protection against the elements. Tailored Fit - Provides an optimum fit.